This past Monday, several months of exploration of Food Entrepreneurship in Seattle culminated in one amazing event at Trophy Cupcakes in Wallingford. I’m fortunate to be on the local steering committee for my alumni association – a position that allows me to organize exciting events that explore interesting business questions across industries. In addition to wrestling with some of the entrepreneurs’ current business challenges (e.g., maintaining brand consistency and clarity, understanding the potential impact and how to leverage social media,) I achieved a personal milestone by catering for 45 people. The menu is listed below. Although a glitch with the camera prevented proper documentation, I plan on re-creating several of these recipes for future photoshoots. This spice blend, most commonly found in Bengali cooking (of Eastern India and Bangladesh) is a fragrant, full-bodied mix great for both meat and vegetarian dishes. 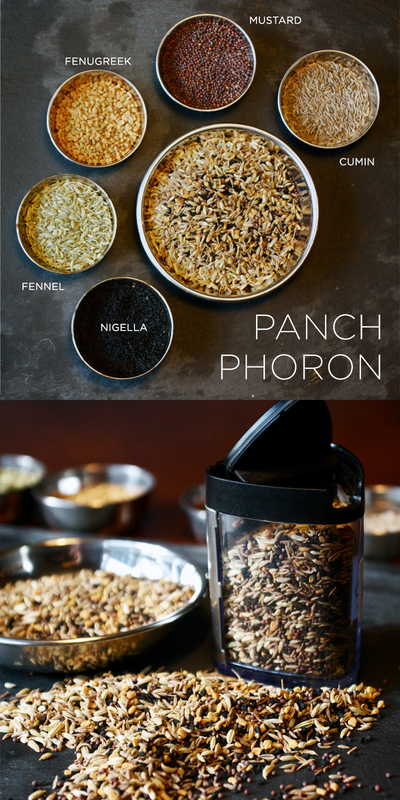 I rely heavily on this mix in my kitchen.It can be used in a number of ways including in a rub, marinade, brine, mirepoix or bouquet garni, or a flavorful oil to garnish your final dish.